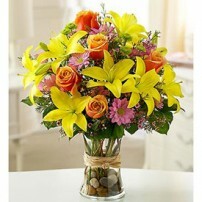 Centuries ago, a horseman would have ridden for days to deliver messages to your loved ones. 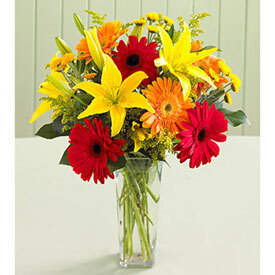 Today, you only need a few seconds to deliver this beautiful arrangement of Lilies and Gerbera Daisies to their door and at the right moment. 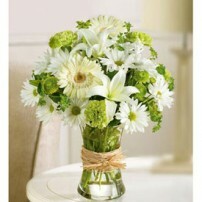 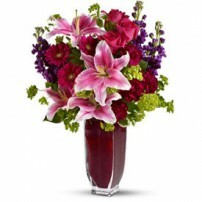 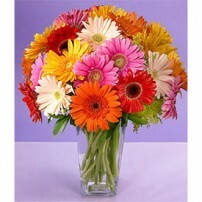 Arrangement composed by Lilies and Gerbera Daisies with Goldenrod details in glass vase or bouquet presentation.